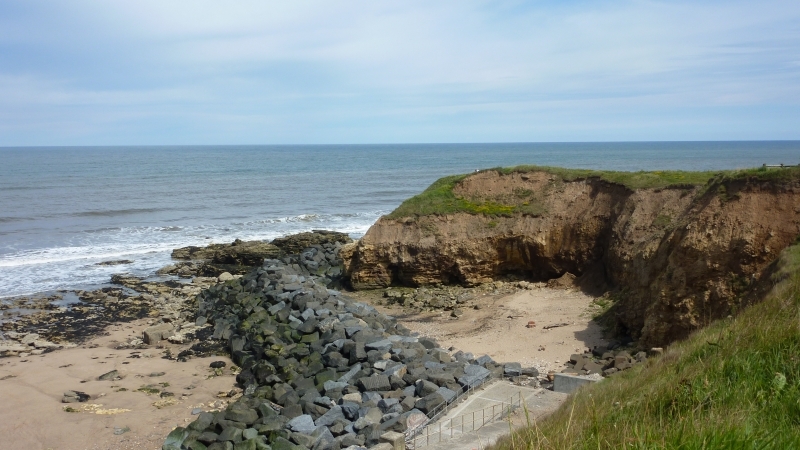 A rocky outcrop close to Seaham harbour. Featherbed Rocks is a rock formation close to Seaham Harbour. At low tide, a sandy beach is exposed and the rocks are ideal for rockpooling. The tide at Featherbed Rocks Beach is currently rising. High tide will be at approximately 4:46 AM, and the next low tide will be at approximately 11:04 AM. Car parking is available near the harbour. around 6 miles south-southeast as the seagull flies, around 10 miles by road. around 6 miles north-northwest as the seagull flies, around 7 miles by road. Visitor information for Featherbed Rocks Beach, County Durham, England. Weather, tides, visitor comments, beach facilities, photos, nearest postcode, beach information and nearby accommodation.